Found this today during a blog search. 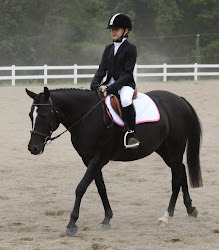 A North Carolina based rider has also seen the need for an amateur dressage forum and created a website for such riders! Some cool stuff, so check it out!! On a personal note, we had freezing rain last night, and I again cannot get the horses out of the barn! Fun stuff! This is when boarding your horses rather than keeping them at home seems like a better idea!